This BlitzRCWorks Li-Po Guard is made from high quality fiberglass woven fabric that is similar to fireproof suits worn by firefighters and is made of a space age fire proof material that is immune to any flame or battery malfunctions! With the way Li-Po batteries are charged and discharged, these batteries have proven to be unstable and dangerous when charging. 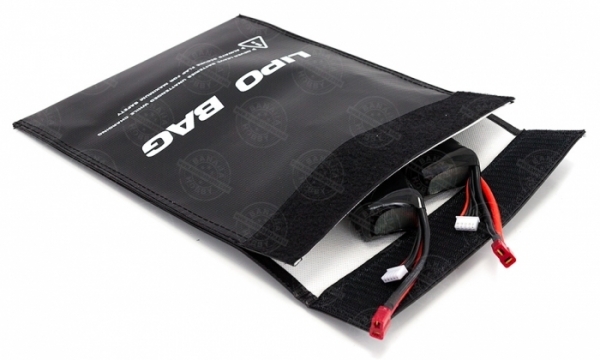 This guard bag provides a safe and fire-proof enviroment for your batteries. Simply insert batteries into bag during your charge process and let it charge. This bag can be used to charge and store your batteries.